Suffolk County Police have arrested a Middle Island man for Driving While Ability Impaired by Drugs after his vehicle struck another vehicle, killing the driver of that vehicle. Shirley, NY - August 12, 2015 - Suffolk County Police have arrested a Middle Island man for Driving While Ability Impaired by Drugs after his vehicle struck another vehicle, killing the driver of that vehicle. 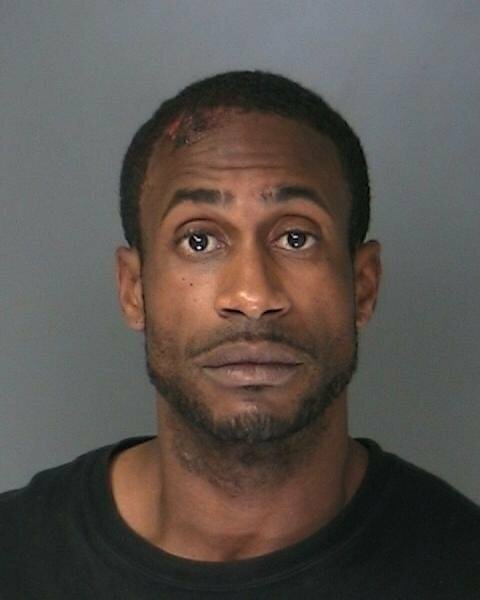 Kendell Owens, 31, was driving a 2005 Infiniti G35 eastbound on Montauk Highway when his vehicle struck a 2006 Chrysler Sebring, driven by Richard Garcia, 45, of Shirley, who was traveling northbound on William Floyd Parkway. Garcia was transported by ambulance to Brookhaven Memorial Hospital Medical Center in East Patchogue where he was pronounced dead. Alyssa Toth, 23, of Mastic, was driving a 2013 Chevrolet Cruze northbound on William Floyd Parkway behind Garcia’s car and crashed into his car after the initial collision. She was transported to an area hospital where she was treated for minor injuries and released. Xavier Patino, 37, of Queens, was driving a 2011 BMW X6 westbound on Montauk Highway and was struck by the first two vehicles. Patino and his four passengers, including an infant boy and a two-year-old girl, were transported to an area hospital to be checked out and were later released. Owens was arrested and charged with Driving while Ability Impaired by Drugs and Leaving the Scene of an Incident Without Reporting Involving a Fatality. He was transported to Brookhaven Memorial Hospital Medical Center in East Patchogue where he was treated for minor injuries and released. He is being held at the Seventh Precinct and is scheduled to be arraigned later today at First District Court in Central Islip. All vehicles were impounded for safety checks and the investigation is continuing, Detectives are asking anyone with any information about this crash to contact the Vehicular Crime Unit at 631-852-6555. Subject: LongIsland.com - Your Name sent you Article details of "Man Arrested for DWAI Drugs Following Fatal Four-Vehicle Crash"